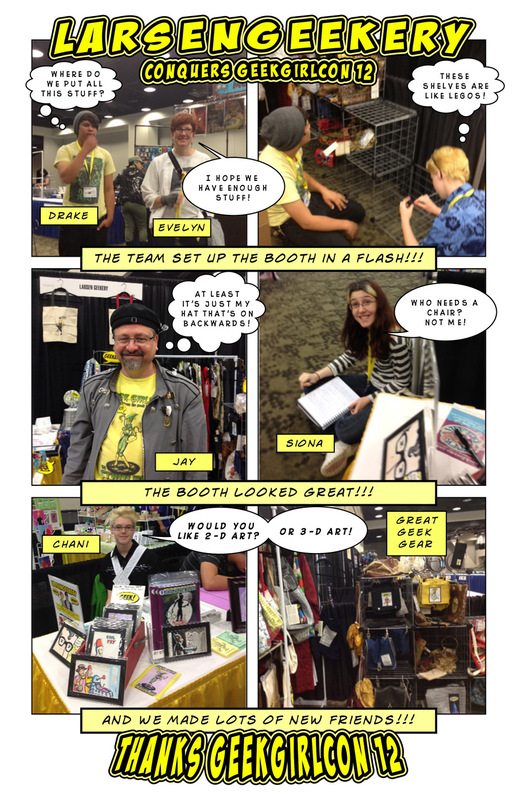 Larsen Geekery: GeekGirlCon 12 for the Win!!! We had a great booth, a great team, lots of great gear and art. We met lots of great people and made new friends. We are already looking forward to doing it again next year. If you couldn't make it to the show, be sure and click on our STORE link to shop for some great LarsenGeekery Gear of your own. Thanks to everyone at the show!! !